Click the button to the right to download for Windows. For the Mac version, visit the website link below. Arx Armory lets you open WoW character info pages from the Warcraft server, and NPC details from Wowhead.com, on your desktop browser with one button click while playing the game. Desktop web pages open in the background so they’ll be there waiting without interrupting your gameplay. Arx Armory is the go-to app to see character and NPC details. 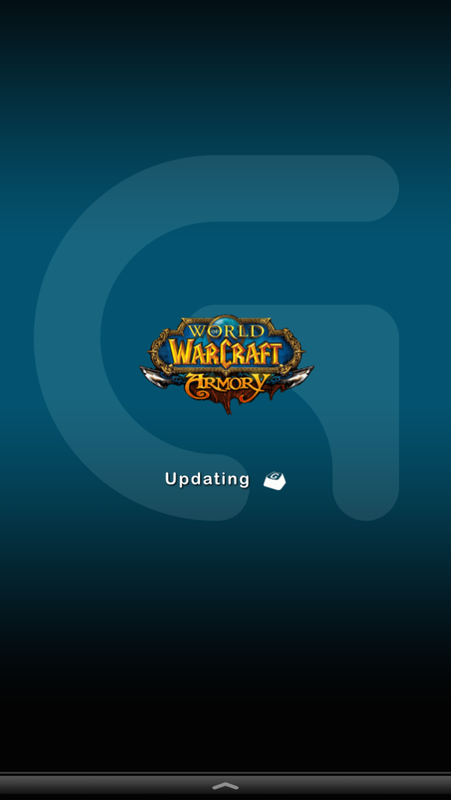 As with earlier versions the application can use Logitech’s Arx Control app to make those info-packed web pages appear on your tablet and smartphone mobile device while playing World of Warcraft. But with version 2.0 pages can appear on your desktop even if you have no Arx devices connected. LGS doesn't even have to be installed. This app and AddOn is all you need. Once installed, create a macro for /Arxarmory and toss it on your action bar or bind it to a key. Then target a nearby character or mob in the game. 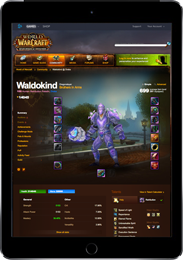 Trigger the macro and within a few seconds the matching worldofwarcraft.com (for players) or wowhead.com (for NPCs) page will appear on your desktop and/or Apple or Android phone/tablet. Complete help is included with the install. trying to get arx control up and running..
With some more details, I'll be happy to help you. I just uploaded a new version for 32-bit Java and the version for 64-bit Java is on my web page. The previous version didn't work across both bit versions as intended. Please give the new version a try. Also, you should reboot before trying again as the previous version may have (temporarily) locked-up your Java Runtime. Post back with your results! Thank you for trying my program. Let me try and help you. I am stuck at "Move the "Arx_Armory.jar" app to a convenient location outside of the zip folder. Double click the "Arx_Armory.jar" file to open the application. When I double click just takes me inside to the other files. In other words, you do need to extract the "ArxArmoryxxxx.zip" file you download from this site, but you do not extract anything from the jar file. Normally, when you double-click the zip download, you'll see the Arx_Armory.jar file. You can drag this to your desktop, or to another regular folder. It just needs to be moved/copied out of the downloaded zip. Once you put it on the desktop or another folder, just double-click the jar file and if Java is installed, it will start. What screen should the Arx app on my phone be on or will it do it automatically? You don't need to pick a page. 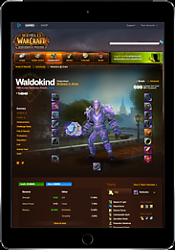 Just keep the Arx App open on your phone and the display will change to the WoW character page automatically. Is there a youtube video showing a step by step on how to set it up? No, not yet, but that's a good idea! Hope to hear from you again when you get it working! I followed all the steps but I cannot open Arx_Armory.jar. I have a g910 with android phone. I have the arx app connected and all to pc. I put the ARXArmoryxmit into my wow addon folder and loaded it up. Am I suppose to extract this folder? If so what do I click on then? If not, then how do i get the ArxArmory application to pop up? sorry for my noobness lol. This app looks great and wish to have it working. Especially since the new legion expansion is out. Tried to install today on fresh win 10 install and it wouldn't open. Blah. Such potential! I have all the latest drivers/software and whatnot. Looking forward to future updates! I updated java to the latest, 8.91 i think. Restarted my pc. Since I have a 710 kb i have the logitech software already installed. Loaded the app on phone. Both connected just fine. The ARX_Armory.jar file won't open. It starts a process but never shows a window. Not usre what's going on. Looks promising though. EDIT: I'm using Windows 10 pro 64bit. Last edited by Xhelius : 06-19-16 at 01:52 PM. Update: New version properly opens in Java for me on win10 64bit! That indicates the Arx app never saw the "end of name" character and is waiting for more. If you trigger the AddOn a second time, the character should appear. This can happen more frequently when the computer is very busy, such as during a raid fight. Probably best to wait until the fight is over to scan players. The program is written to open the help file in your system's default viewer for RTF files. On my system, the help file opens in Word. If Notepad++ knows how to open RTF files, I can't explain why it's gibberish. If Notepad++ isn't for RTFs, then fixing the file extension association in Windows should fix it. Thanks for the convenience macro for everyone! Another option I like for the icon is "INV_Misc_GroupLooking". It's a dark character silhouette "Achievement_GuildPerk_EverybodysFriend" is also good--3 shadowy figures. Finally got it to properly calibrate, as well. Seems to happen soon after I successfully calibrate. Restarting everything fixes it, so far. I dug through the lua to find the slash commands, before I figured that out. Another user confirmed that with the alternate (64-bit) .dll from Logitech the AddOn ran perfectly on his machine. I just uploaded version 1.1 which includes versions for 32 and 64 bit systems. Also, based on user feedback I've added localization so if you're playing in the EU you will see details about EU characters, not US. Last edited by Waldokind : 03-18-16 at 12:02 PM. "LogitechArxJNI.dll155414464081919869: Can't load IA 32-bit .dll on a AMD 64-bit platform"
I am sorry you ran into this problem. I had my brother run this version on his 64-bit Win10 machine and he said it worked OK. I have the 64-bit .ddl from Logitech. If you write to me at waldokind_at_earthlink_dot_net, I can email it to you and see if that fixes the problem. Spent a bit of time wrestling with environment variables and command before I finally at least got an error to show. Too tired to recompile the DLL or uninstall Java for the millionth time to attempt to force a a 32bit install. Will look at it with fresh eyes when I've eaten and it's not insane o'clock. Last edited by Nynaeve : 03-11-16 at 02:23 AM.